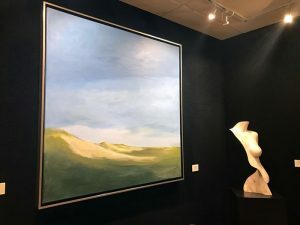 A new piece of art can transform a space, completely shifting the personality of the room, changing the color palette or give new life and personality in an instant. 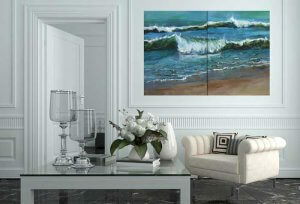 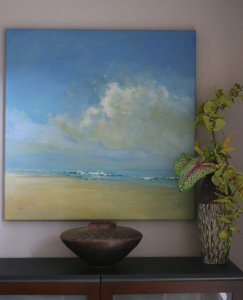 Calming elements from CJK – Studio Seascape Series, will add interest and color to an expansive space or quiet corner. 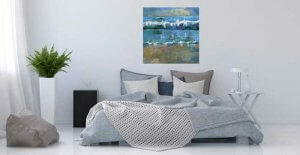 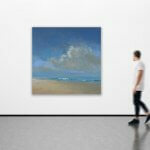 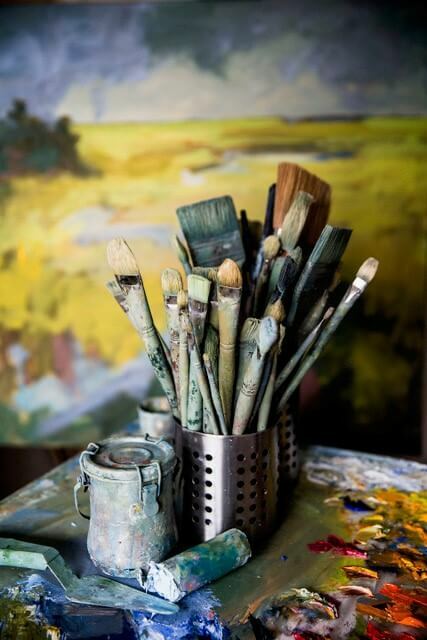 Fine Art Originals or Giclee Prints can refresh a wall to suit a mood or feeling. 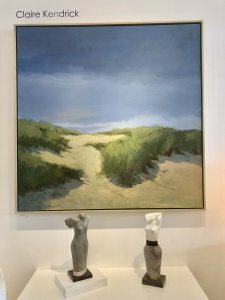 Intriguing textures like the matte quality of oil paint and wax blended together work in harmony with brightly lit rooms – as the surface quality of the paintings don’t shine or reflect. 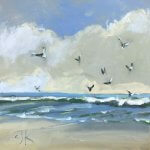 Its just one of the things we love about works of art by Claire J Kendrick. 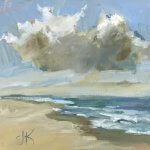 Here are a selection of works from the CJK Seascape Series. 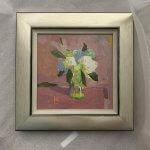 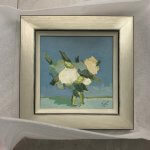 36×36 High Quality Giclee Options – Gallery Wrapped, retouched and signed. 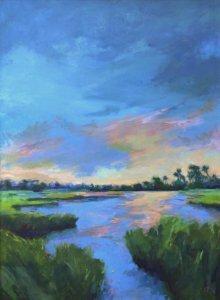 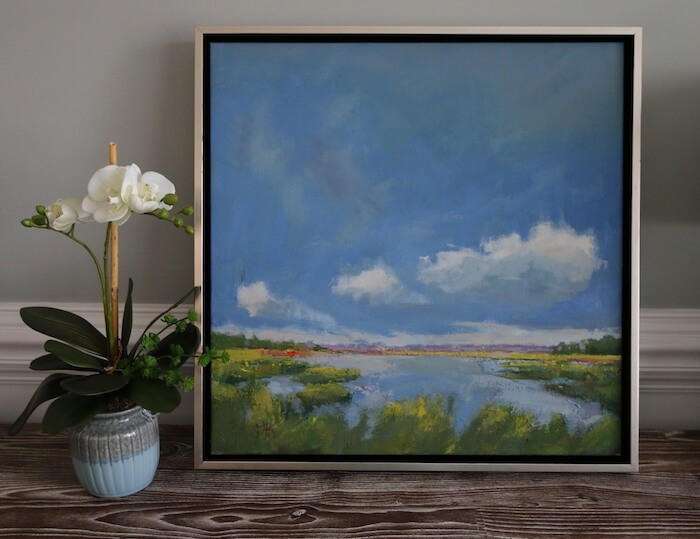 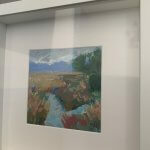 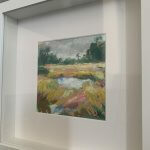 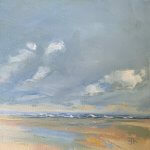 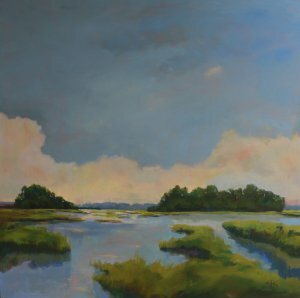 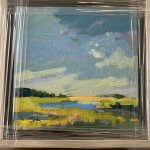 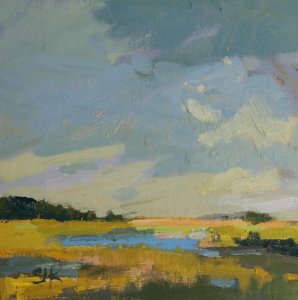 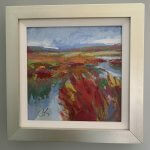 Featured Painting SOLD – Big Sky Marsh, 24×24 Oil on Heavy Canvas with Silver Floater Frame. 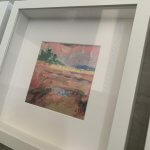 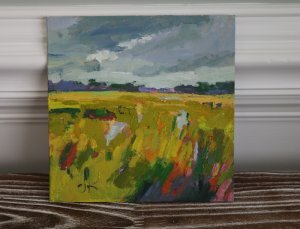 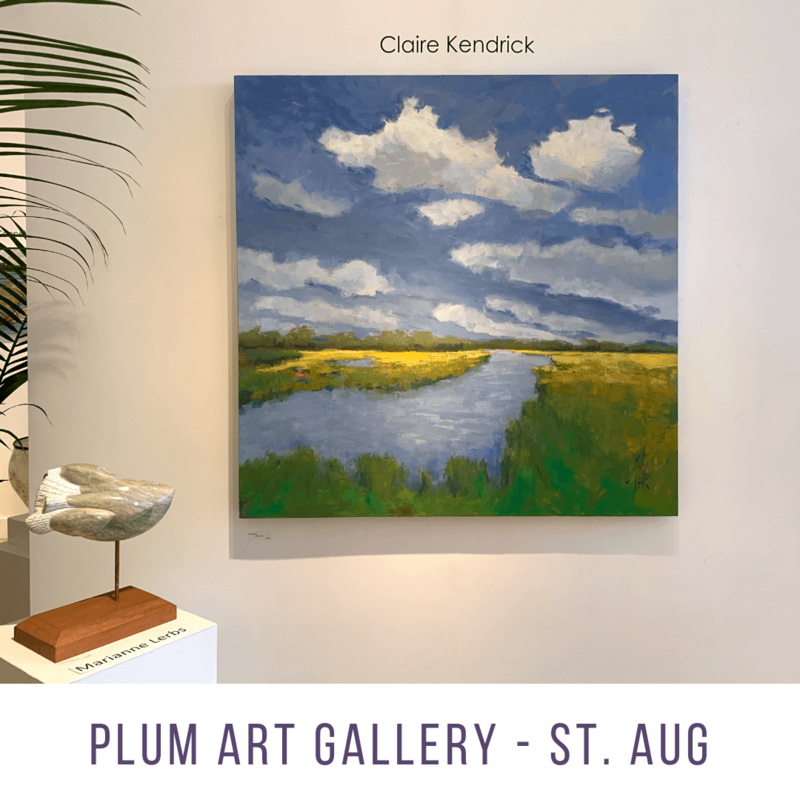 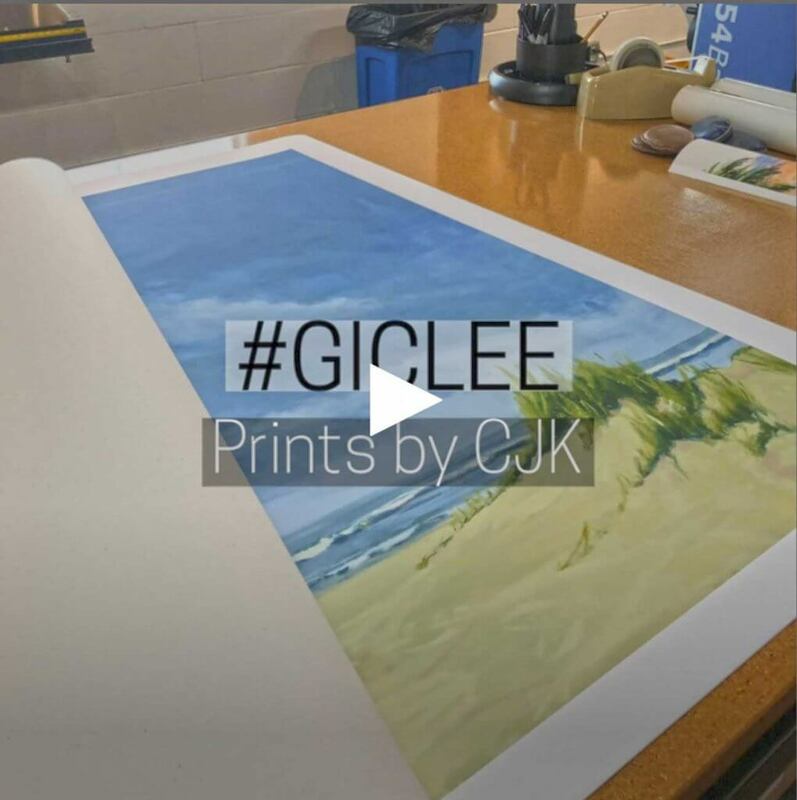 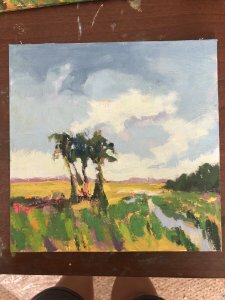 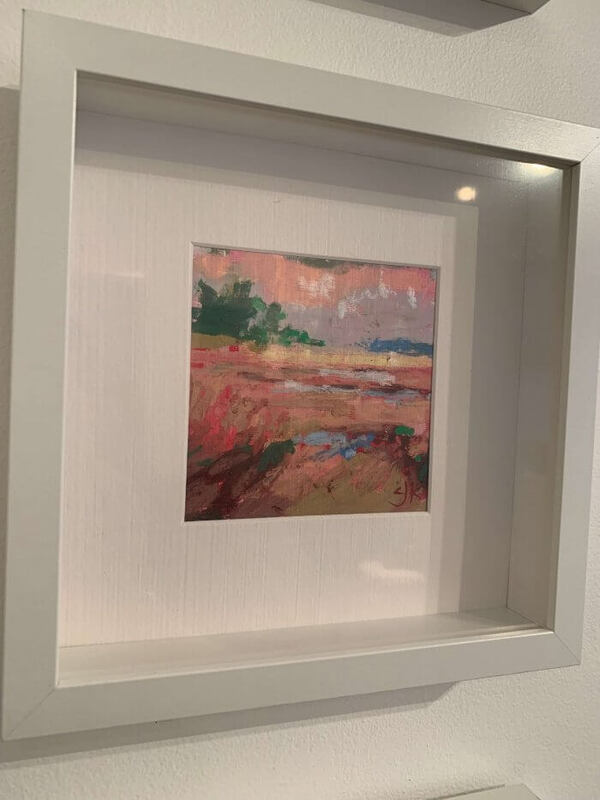 Artist Claire Jane Kendrick Shows small works from the ‘Little Gem Series’ small, dynamic works of art, packed full of color, texture and aliveness! 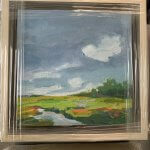 All the paintings listed below are 8″x8″. 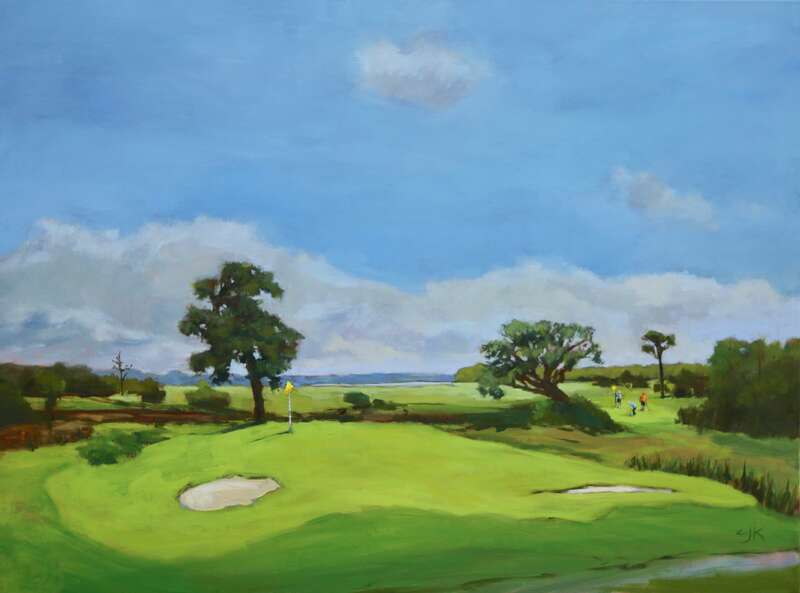 Golf is a game I love, apart from wanting and needing to play more. 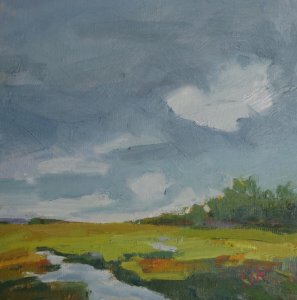 I also need to do more paintings inspired by the game. 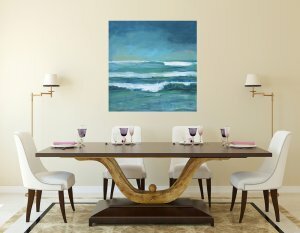 Glued to the screen this past weekend to watch some incredible action in Atlanta. 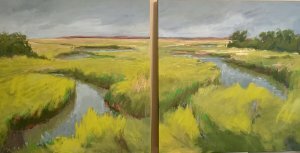 This golf painting was a little closer to home. 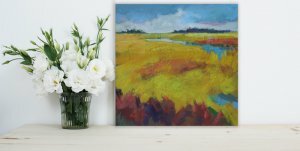 ️ ️‍♀️ The course at the Omni Plantation, Amelia Island. 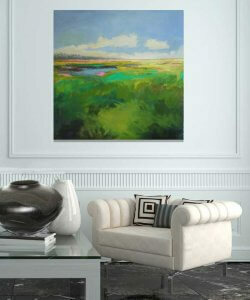 The Omni was voted top 121 golf resort on the world. 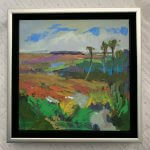 This paintings exhibiting soon at #ArtonCentre Amelia Island. 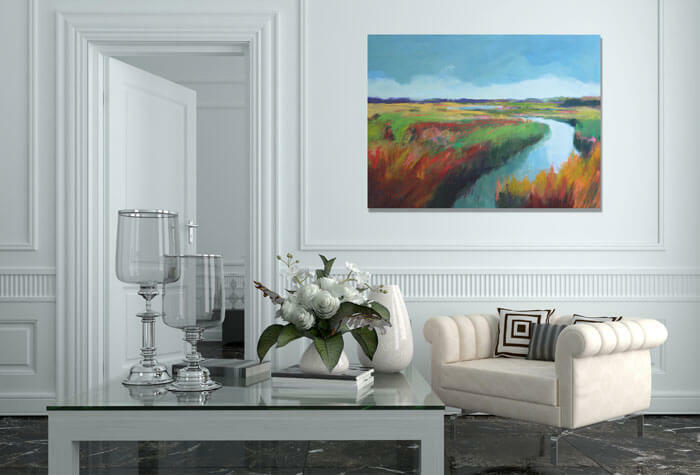 Music, art and hospitality are clearly at the center of this beautiful southern home. 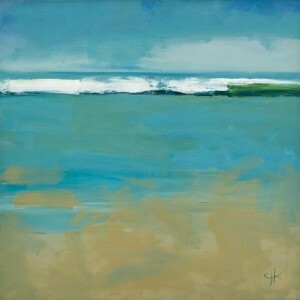 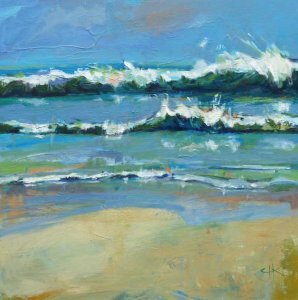 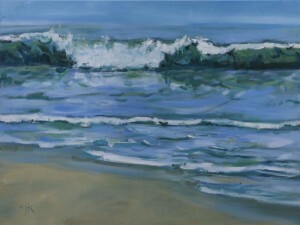 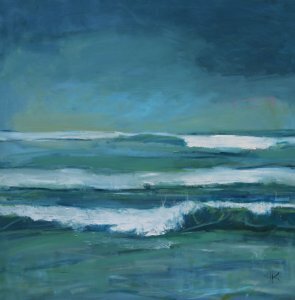 The large scale coastal oil painting “Bring me to the Shore” is by Claire Kendrick. 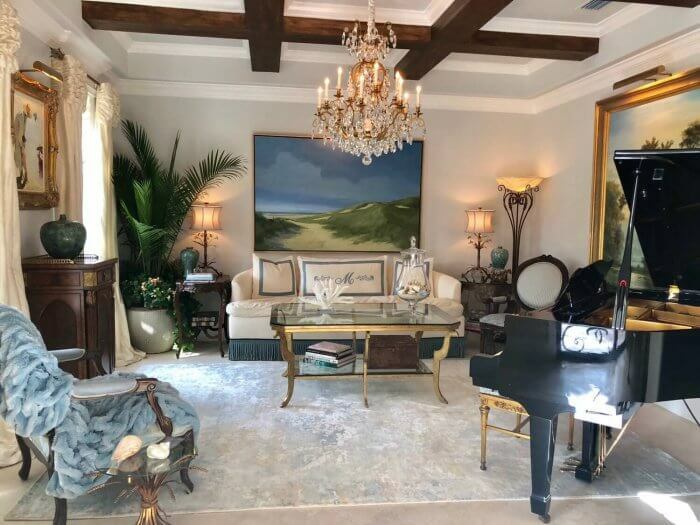 With a keen eye for scale and proportion and an extraordinary penchant for detail this room illustrates a harmonious blend of high style and sophistication. 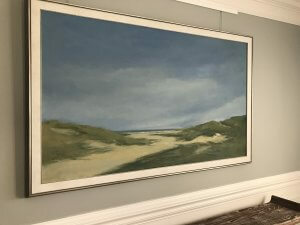 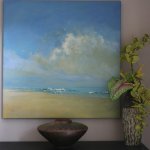 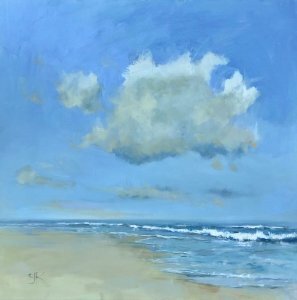 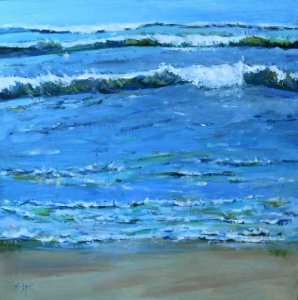 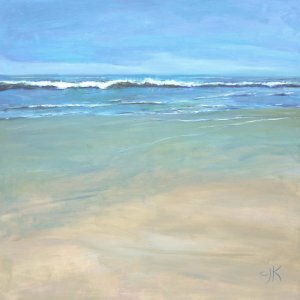 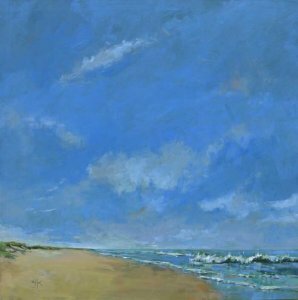 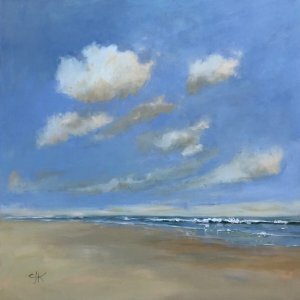 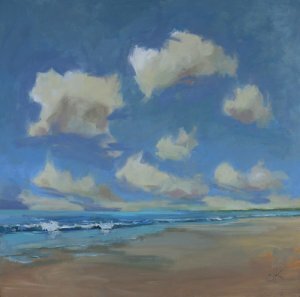 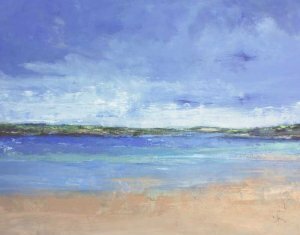 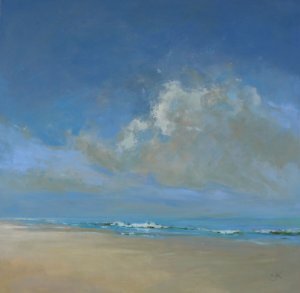 Many of Kendrick’s coastal paintings capture moments, walks by the beach, lazy summer weekend spent with friends, those quiet moments of calm and contemplation and others of pure bliss. 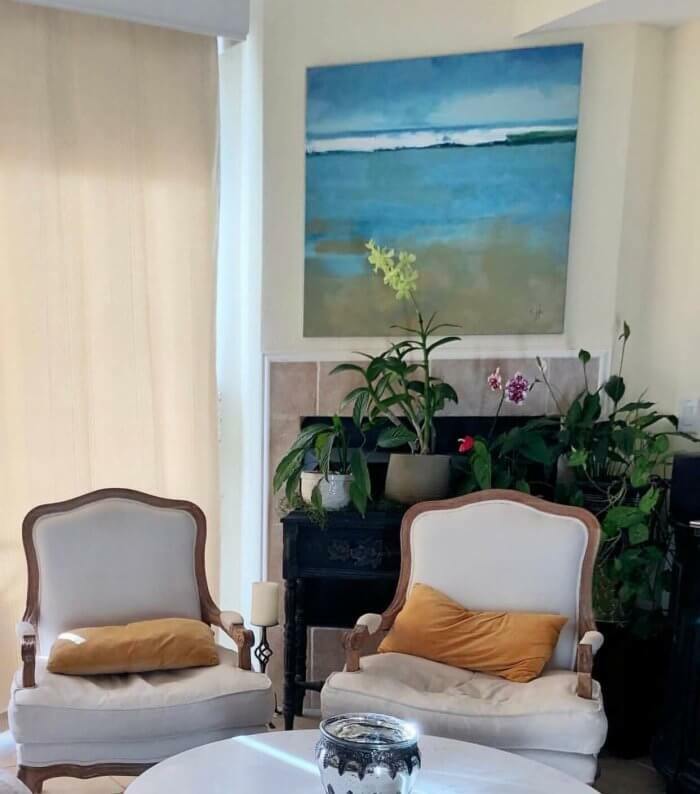 To the owners of this private residence, thank you for allowing us to share the photograph. 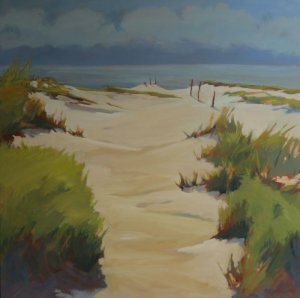 In addition to beautiful beaches, Amelia Island is also known for upscale galleries, fantastic restaurants and beautiful boutiques. 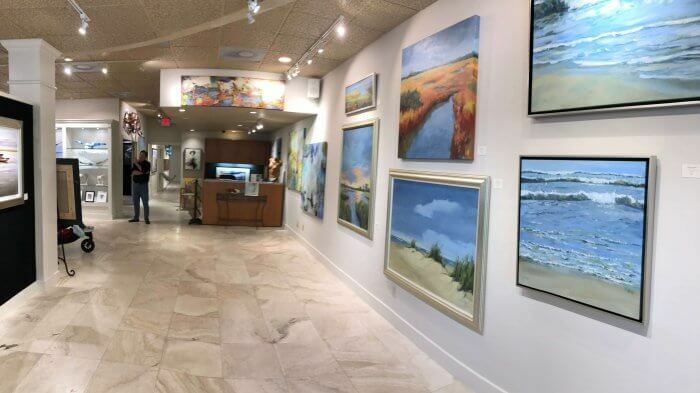 On the second Saturday of each month, participating galleries host art events and open houses during the second Saturday for Artrageous ArtWalk come on out and shop for Dad! 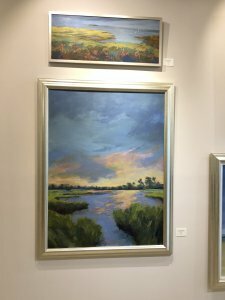 June 9th, 2018 (5-8pm) Saturday Art Walk is a great way to avoid the high temperatures as shops and galleries are open late into the evening. 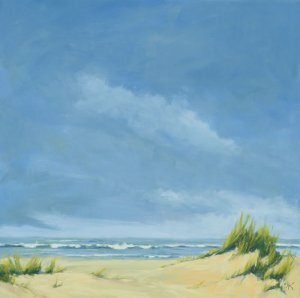 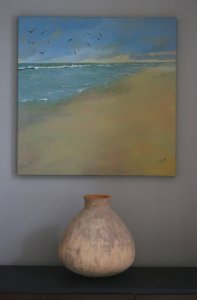 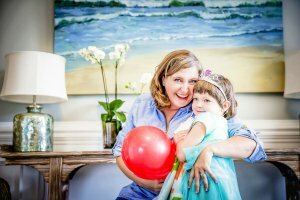 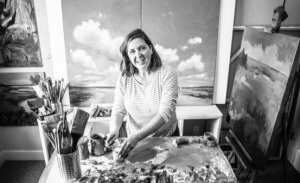 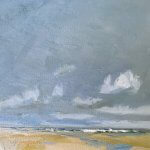 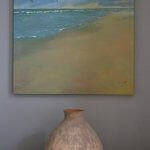 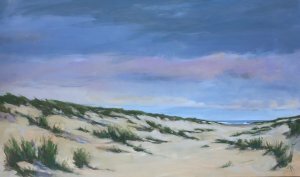 Plan a great evening in Fernandina – call in to see my new works exhibiting. 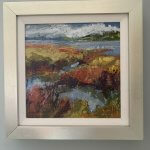 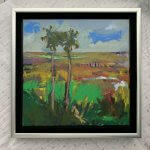 Small Works of Art perfect for Fathers Day! 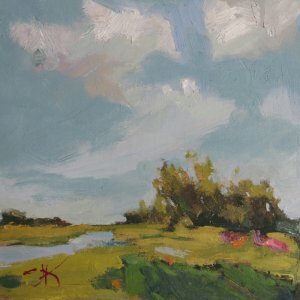 This little gem “Southern Charm” 12×12 Oil available at Art on Centre Gallery, 503 Centre Street.